Throughout the different Jacobean routes that make up the Camino de Santiago is a great variety of landscapes full of history, culture and mysticism. 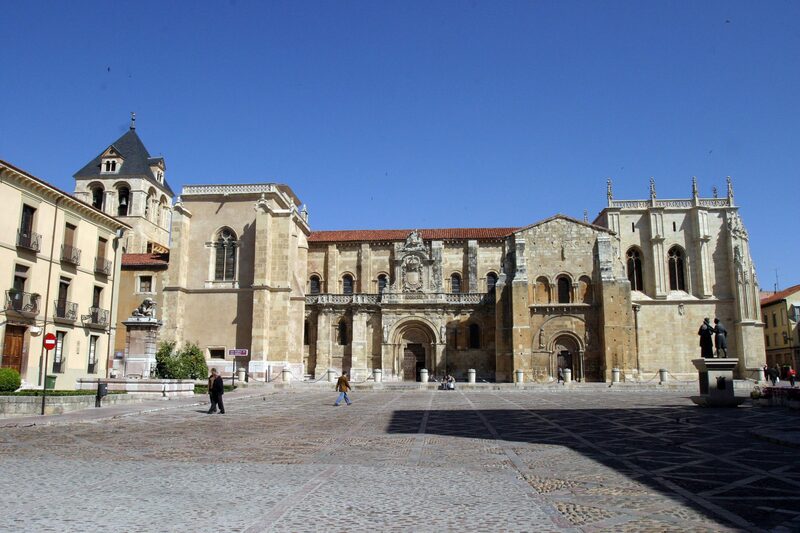 Among the impressive buildings, you can see some works of the Romanesque period in Hispania. The Romanesque churches are architectures that have survived to the present date, largely because of its well developed by the great architects of the age structure. Each temple is a gallant art icon honoring faith, after enduring invasions, wars, over time and people. 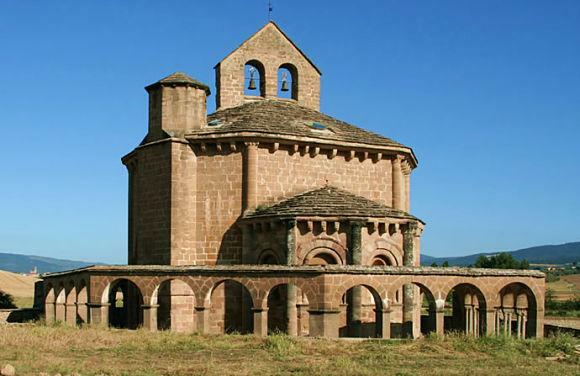 What are the best known Romanesque churches on the Camino de Santiago? During the old kingdom of Aragon, the granting of a bishopric began to give off its consolidation as capital of that reign, ordered its construction in the year 1077 by the hand of King Sancho Ramirez. 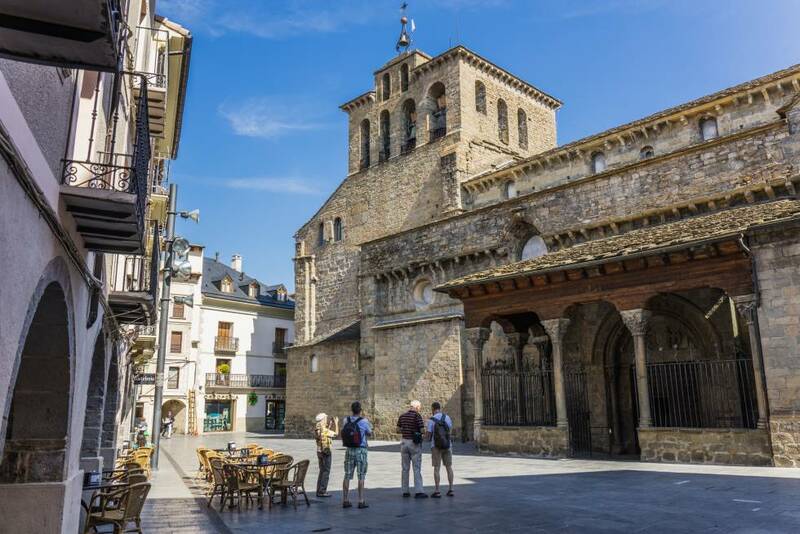 This cathedral is considered not only one of the oldest, but also the basis of Roman architecture used in the following temples within the Jacobean route. 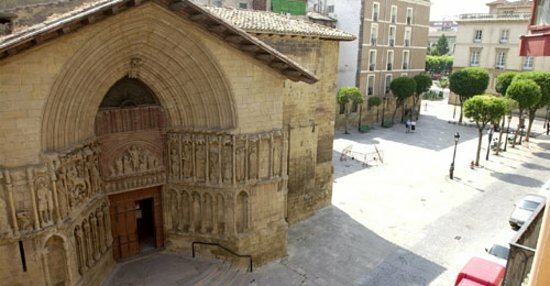 It is the oldest temple in the town of Logroño, in the province of La Rioja arising between the twelfth and thirteenth century, although the exact date is not known uprising. It has some aspects of Gothic architecture, but it combined with the great influence of Romanesque architecture, offering a distinguished period decor. It shows great iconography where you can see the life of St. Bartholomew. It is located between the Roncesvalles route. Its origin is uncertain, It is known from the year 1170, and some attribute its creation to the Templars. Nevertheless, many others say that was ordered by a queen whose remains lie beneath the structure. Its origin is purely Roman, originally was a temple of worship Mercury in Roman times. Nevertheless, the rise of Christianity, invasions and the reconquest was worked to keep. It is certainly one of the most interesting stops you can get yourself, It offers a nice combination of different architectural styles, Romanic protrudes as base gives a unique and colorful way to this particular work. The roads to the city of Santiago de Compostela are full of Romanesque architecture, He believes that you have here just named the most interesting and vibrant you can get on different routes Camino de Santiago. Dare to do the tour and will surely find many more. Did you liked our post? When I can see running the botafumeiro?